Welcome to the website of the Max Guest House in Cuba, a quiet and cozy place in elegant Cuban style designed to make you feel at home. The Max Cuba Guest House is located in one of the nicest neighborhoods in the city of Havana, a few minutes from the historic and fascinating destinations, providing for your holiday a hidden corner of paradise. 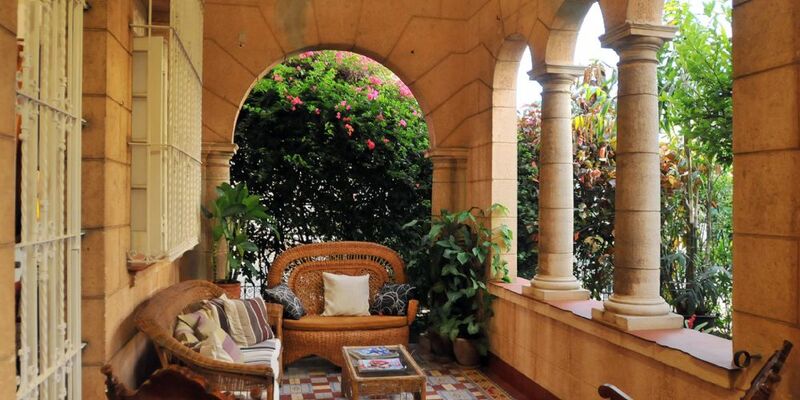 The house that now houses the Max Guest House in Havana is dating back to 1937 in the Baroque style and today it can be admired in all its originality, as well as the Patio, the cozy tropical garden that surrounds the house. The attention to detail, the central wing of the house, its community spaces and its patio make this place very cozy. The Max Guest House awaits in Cuba, Calle 25 No. 2605 entre 26 y 30, Miramar, Playa Ciudad de la Havana. See our map under the "Location" of the site or by direct contact information and click the menu "Contact Us". We will be at your disposal to provide all the answers you need. Leggi opinioni imparziali sulla Max Guest House Cuba (ex Artedel Guest House) su TripAdvisor.